A 26-year-old woman from identified as Divine has allegedly stolen a six-week-old baby in Makurdi, Benue State, before being arrested by the police. 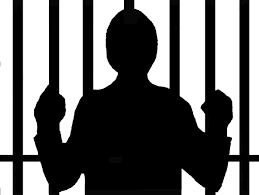 Divine was said to have stolen the child whose name was given as Doochivir Ukeyima at number 26 Tony Odu Street, Gyado Villa, Makurdi, and was trying to escape when a 10-year-old girl named Hembadoon Tersoo alerted the mother of the baby to the incident. The mother of the child, Mrs. Doris Ukeyima, who was engaged in cleaning activities behind the house raised the alarm, which led to the arrest of the abductor. Narrating the incident to our correspondent, father of the child, Mr. Samuel, said that the incident took place on Thursday around 11:00am. He said, “The lady came to the house through a bush path behind our house. My wife left the child alone in the house and was weeding the premises. The lady went straight into my apartment and carried the baby but unknown to her, a neighbour was watching her. The suspect is currently being detained at E Division, Makurdi.